The overarching goal of program management is to successfully manage the execution of projects that contribute to strategic business goals like reducing a percentage of costs, reducing the error rate in manufacturing or increasing customer satisfaction. Each project delivers a specific result to the overall goal, and while projects and initiatives have defined start and end dates, programs usually have longer stretches or are set up to be continuous endeavors. Implementing time saving and value adding measures means not only the business users and IT but also program managers and PMOs will benefit from it as well. Therefore your project management team should have an interest in identifying repeating time savings and waste eliminating steps throughout all projects and the organization. 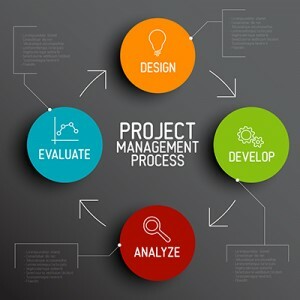 Many project management organizations run projects in a matrixed organization, where skilled resources are in demand from line of business and projects at the same time. If a methodology and tools can support their daily business activities so their workload is reduced and provide them with possibilities to be more involved in the implementation of new solutions, it will help mitigate the resource bottlenecks in IT and lead to faster time-to-value in projects. Test scripts – Easy to create test scripts can be used for functional and UAT testing. Testers can run their test cases directly from Excel and don’t have to spend time learning a new tool. Migration scripts – Migration rules can be complex and sometimes complex logic makes it impossible to migrate data without human interaction. 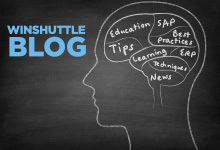 With Winshuttle, scripts data can be pulled in a flexible way from SAP to Excel, and analyzed and modified in Excel before it’s migrated into another SAP system. Easier ways to perform repetitive project tasks – Are you spending too much time on administrative tasks in SAP? Update time sheets in SAP, maintain projects tasks and create internal orders via Excel. Analytics in PM– If you don’t want to wait for BI reports or spend valuable time creating SAP reports, analyze your SAP project data with Winshuttle Analytics directly in Excel without having to program or create complex reports. Create dashboards and reports and distribute them to project stakeholders. They have one thing in common: the need to create, change and maintain the same kind of data again and again. As an example, let’s consider the Finance Team. Many corporate initiatives and projects affect Finance and require the Finance Team to perform data creation and maintenance tasks beyond an already time consuming and cumbersome effort in their regular operations. While a PM might only look at the current project’s needs, PMO managers and program managers see the multitude of projects and the effect of synergies. You can identify time consuming approval processes and implement a simple system workflow like JE approval workflows, a financial close approval or data collection processes. Winshuttle allows you to identify cumbersome and error-prone SAP transactions and implement user friendly forms for things like tax codes and mandatory field on different screens. Program Managers and PMO Managers can help identify efficiency increasing items and communicate and initiate the implementation of a strategic Lean Data Management approach that will improve your business processes and deliver benefits to the organization and its strategic goals. 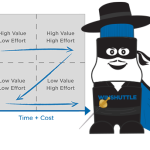 Learn more about Winshuttle’s Lean Data Management methodology today! Martin is an IT Project Manager and Consultant with 15+ years of experience implementing and optimizing various solutions in SAP, Business Intelligence and content management in Europe and North America. As a Solution Engineer for Winshuttle based in Zurich, Switzerland he is now helping customers to optimise data management processes.